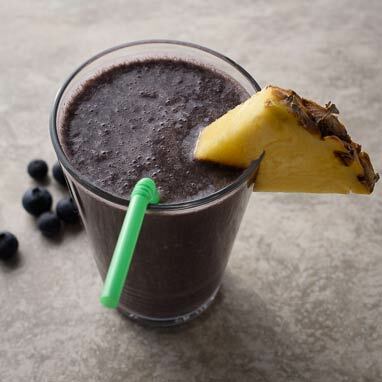 Densely packed with antioxidants from blueberries, spinach, and dark cherries, this is a perfect post-workout smoothie. It’s one of our more carb-heavy options, but don’t despair. Carbs are essential for replenishing glycogen, a key building block for muscle recovery. Combine those helpful carbs with the anti-inflammatory properties of tart cherry, as well as a little protein from Greek yogurt to make the most of that post-workout window.